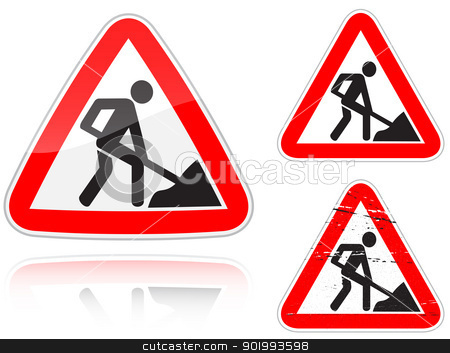 Set of variants a Works on the road - road sign isolated on white background. Group of as fish-eye, simple and grunge icons for your design. Vector illustration.